Like everything else about coaching, there are no rigid rules regarding how long a coaching session should last. So, how can inexperienced coaches decide the appropriate duration of a coaching session? 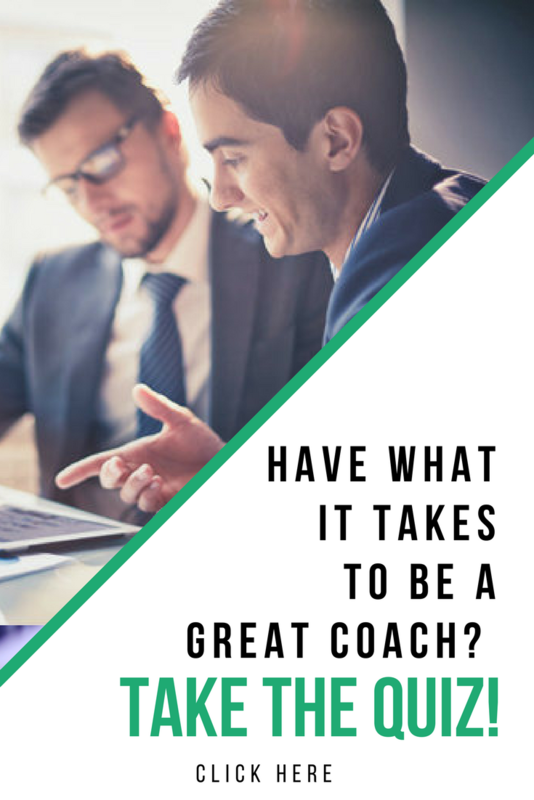 Read on and get some insights into the different factors that influence how long a coaching session can be. These factors vary from time to time, so don’t hesitate to adjust the length of the session if the prevailing circumstances warrant such an adjustment. Your client may have certain scheduling requirements that may make it challenging to schedule sessions. For example, your client may be so busy that he or she cannot find the time to meet or talk over the phone every week or so. Such a client may therefore prefer a longer session, such as a 2-hour session, instead of shorter ones held more frequently. Similarly, you as the coach may have scheduling preferences that enable you to perform at your best when helping a client. The bottom line is that there should be a balance between your clients’ scheduling needs and your personal preferences if the coaching relationship is to be successful. You may have interacted with a potential client about their needs and agreed upon a specific number of sessions to be held over a set period of time. The frequency you agree upon may have a bearing on the length of each coaching session. For instance, it may be unnecessary to have lengthy coaching sessions if you are interacting with your coaching client on a weekly basis. Similarly, it may be hard to have short sessions if the interval between the coaching sessions is long, such as when you have a session once every two months. Most coaches have a hourly rate, even if they work on a monthly retainer. As you may know, a large section of potential clients may not have an unlimited budget, so how much they can afford to spend on coaching will have an effect on the structure of the coaching process. For example, you may have listened to the needs of the client and recommended 12 coaching sessions. However, the client may be unable to afford your standard fees for the preferred session length. In such a case, you can opt to reduce the length of each session so that the total cost is within the budget of your client. Not all client issues were created equal in terms of how much time is required to address them. Some issues can be explored and addressed within a short coaching session while others demand for more time to be devoted to addressing them. For instance, one client may be having difficulties managing a demanding project. These types of clients can greatly benefit from brief coaching sessions that help him or her to identify the specific action steps needed to get the project on track. Conversely, a client who has deep-rooted beliefs that are holding him or her back from reaching their full potential at work may need longer coaching sessions so that the signs of those limiting beliefs can be traced to their roots before they are replaced with empowering beliefs. The way you allocate time to those two clients will therefore differ because their needs require different coaching session duration. Some coaches offer brief/laser/quickie coaching sessions that can vary in length from 5 minutes to about 20 minutes. These sessions are ideal in case a coaching client needs help with a specific matter for which guidance or feedback on particular action steps is sufficient. For example, the client may wish to interact with you about an updated resume as he or she tries to reenter the workforce after a lengthy absence. You may not need to schedule an hour-long call to talk about the improved resume. Instead, a brief 10-minute call may suffice. However, this kind of coaching session may not be suitable for clients that can freeze mentally when they know that the clock is ticking and they must be quick in expressing what is on their mind. Similarly, issues that require deep thinking and evaluation may not be adequately addressed during such a brief session. Additionally, there is a risk that you (the coach) may not fully appreciate a situation before offering help. A large fraction of coaches prefer sessions within this time range. Several reasons make such sessions popular. First, the attention span of most people cannot be sustained beyond this length of time, so that session takes full advantage of this window before the client becomes exhausted and his or her attention starts drifting away. Secondly, this session duration allows you and your client to explore topics fairly deeply while accommodating anything that comes up during your discussion. Your discussion can therefore take place normally without the need for any of you to feel rushed. The benefits above notwithstanding, sessions of moderate length may be inadequate to fully explore a client’s issues, especially when the coaching sessions are few and far between. You also run the risk of permitting non-issues into your discussion since the session is a bit stretched out in length. Some coaches and clients may prefer having sessions that last for more than an hour. These sessions may be suitable for coaching relationships in which behavioral issues need to be addressed in order to unlock the potential of the coaching client. You can ask different probing questions and listen until you help the client to identify something in their past or background that is standing in their way. Longer coaching sessions are also ideal in case your client can only be available once in a long time (every two or three months, for example). However, such sessions can be exhausting (mentally and physically) for you and your coaching client. As already mentioned, attention spans are notoriously short, so lengthy coaching sessions may cross the point of diminishing returns long before the session ends. You must therefore take steps to monitor how engaged your client is so that you don’t waste time when the client tuned out long ago. Every coaching situation is different, so try and tweak the duration of your coaching sessions in order to suit your client’s needs. A helpful tip that both parties will appreciate is to open a time “bank”. Here, you save (deposit) any time that isn’t used during a session and the client can recoup that time when another session requires more time, or they need to consult you in-between sessions. The client wins in such a case because they are getting value for money, and you also win because you avoid payment disputes over unscheduled calls. So, what is your preferred coaching session duration? This entry was posted in Coaching Tips, Performance Coach and tagged Action Tips, better habits, business coaching, business tips, clients, coaching, coaching clients, coaching tips, find coaching clients, goals, Leadership Tools, teaching tools, time management. Bookmark the permalink. ← How Do I Find My Balance in Life?